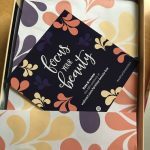 A while ago Princess and I decided to stop getting the Target Beauty Boxes because we weren’t thrilled with the products and had collected SO many samples we really didn’t need more. 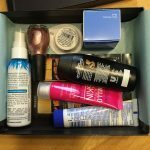 But a couple of weeks ago she messaged me a photo of the March beauty box and said “I’m seriously considering getting this one. 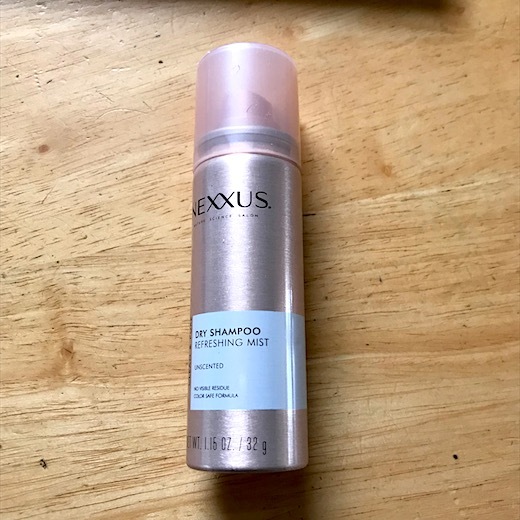 It looks good this month!” I replied “Yeah, except the dry shampoo. 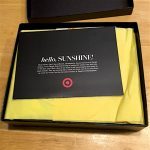 Maybe I’ll get one too.” We went back and forth and realized that we each wanted different things so we could split a box. 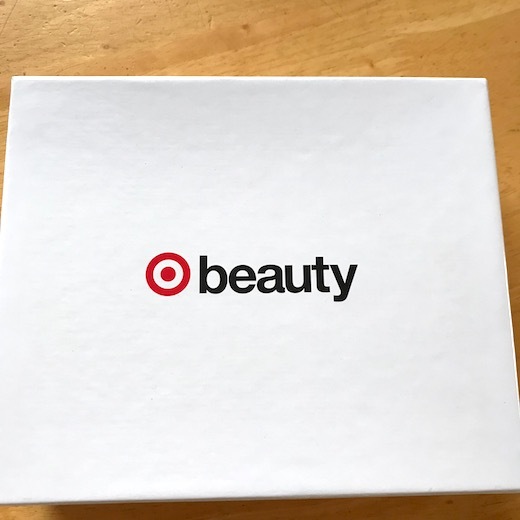 I was REALLY excited to get the Beauty Box because we hadn’t gotten one for so long and it’d been months since my last Walmart one, so I was REALLY disappointed when Princess texted me “They cancelled our box!” Apparently there was a problem with the address on file, even though it was the same address all our previous boxes had come to. We were both really bummed, but what can you do? I know, #firstworldproblems, right? 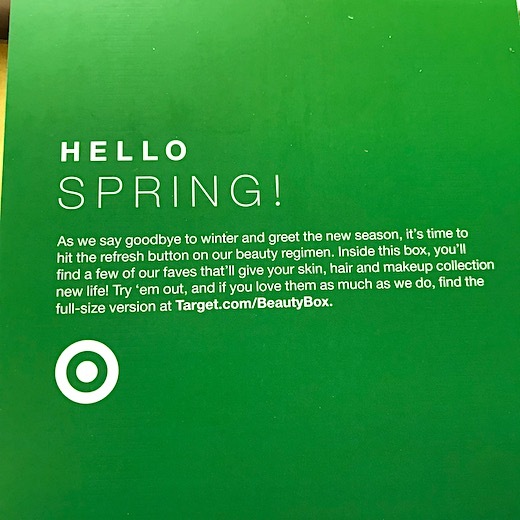 Then last week she got an email from Target saying that our Beauty Box order had shipped. Wait, what? They said the order had been cancelled by mistake and since it was their error they were sending it to us for free. Oh Happy Day! It arrived a couple of days ago – Oh Happy HAPPY Day! Do you want to see what’s inside? Silly me, of course you do! You may have guessed that Princess claimed the eyeshadow, but I did! I was a little disappointed because I thought the rose shade was purple, but the rose is pretty too. 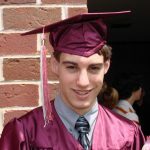 They’re actually shades of brown, not grey, but I can’t adjust the photo to get the colors right. 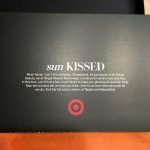 Check out Target’s photo to see the true colors. The shadows go on and blend easily but don’t last all day on me. 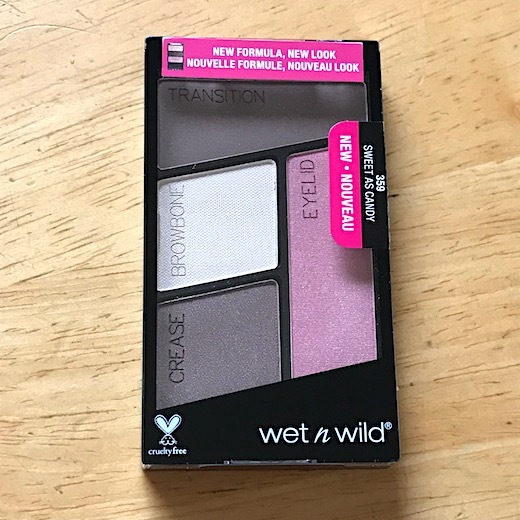 Overall I think they’re just as good as other comparably-priced eyeshadows. I’m thinking of buying the purple palette for fun. 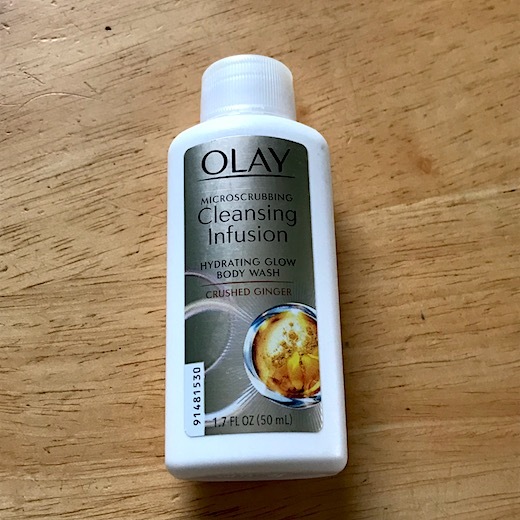 I grew up in the “Oil of Olay” era so I always associated the Olay brand with “older” women. But their new products, like this body wash, are beginning to change my mind. 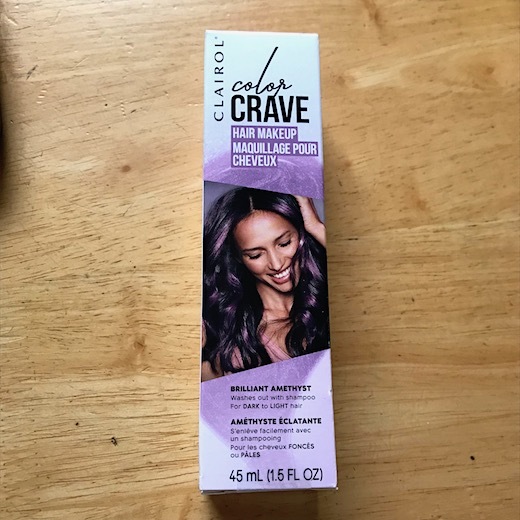 I like it more than I thought I would – the scent is fantastic and it makes my skin really soft and smooth. I’ll bet you think this one is mine, but Princess claimed it. She just dyed her hair blue-black and I can’t wait to see what it looks like with purple in it! I think everything is better in purple. This was another product on Princess’s “Want” list. 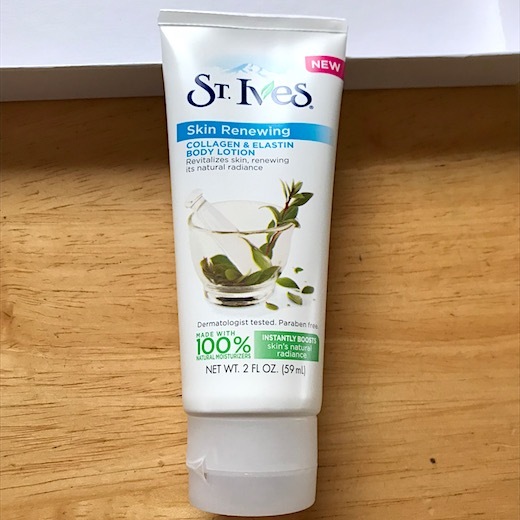 I’m a long-time fan of St. Ives lotion so I didn’t need a sample to convince me that it’s great. This was another product I really wanted. 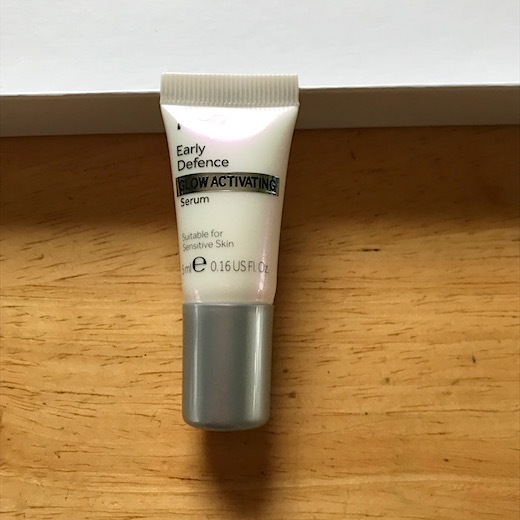 I’ve only used it a couple of days so I haven’t noticed any “glowing” but it definitely makes my skin softer and smoother. I’m going to keep using it to see if the brightening claims are true. I haven’t decided whether to try this or let the boys use it. 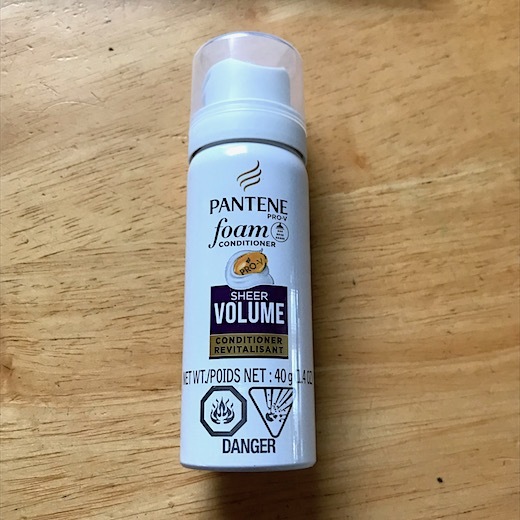 My hair gets frizzy so I have better luck with “smoothing” products rather than volume-boosting ones. It smells good, so it’s got that going for it. 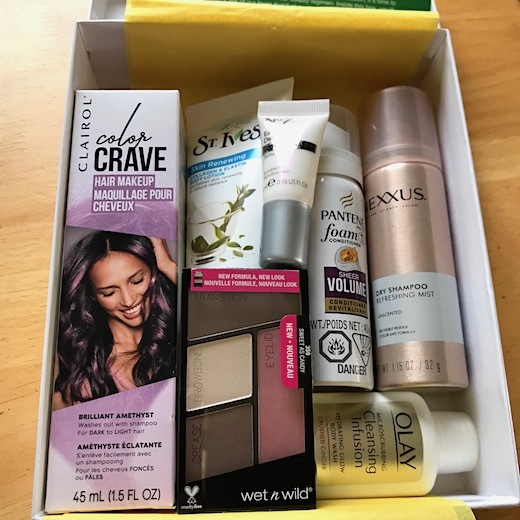 So that’s the March 2018 Target Beauty Box! I’m definitely glad we got it this month, and will be taking a peek at the April one to see what it looks like. I won’t ask how many products you guessed right on, but you can post your total if you want. Woow all the products are amazing. Thanks for sharing.